We then cut to the spaceship Moonlight SY-3, where the crew is on a mission in space. The United Nation Science Committee informs Moonlight SY-3's crew that they have lost contact with Monsterland ,and have no idea what is happening on the island. The SY-3 crew inform the UNSC that they will return to Earth ,and check out the situation on Monsterland. Meanwhile all the monsters from the island have escaped ,and are now attacking capitals of countries across the world. The SY-3 crew arrives on Monsterland ,and enter the underground control center. The SY-3 crew soon discovers that the scientist have fallen under mind control of an alien race called Kilaaks. The Kilaaks reveal to the SY-3 crew that they are controlling all the monsters from the island ,and have been ordering the monsters to attack the cities across the world. The Kilaaks then demands that the human race must surrender or face total annihilation. The SY-3 crew then attempts to fight them ,and just ended up killing a few of the mind controlled scientist. The SY-3 crew is out numbered in the control center ,and they face no choice but to retreat back to the ship. 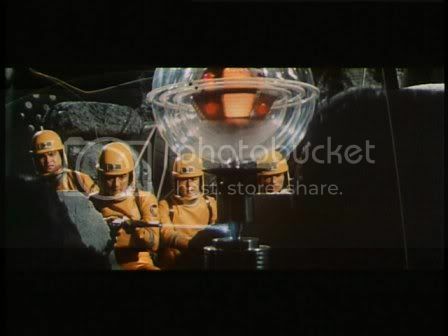 On the way back to the ship they manage to capture one of the scientist under mind control ,and take him with them. The SY-3 crew returns to Tokyo with the scientist ,and reveal their discovery of the Kilaak's evil plan to take over the world. They attempt to interrogate the scientist but it seems as though the mind control is to strong. The scientist has no response to anything they say ,and it seems as though the scientist has no clue who he is. When no one is looking the scientist gets up opens a window ,and jumps to his death. The interrogators rush down but are again confronted by more mind controlled scientist they get in a shoot out again but this time the scientist retreat. Soon after the shoot out, monsters begin attacking Japan,Godzilla comes first shortly followed by Rodan, Mothra and Manda. While the attack is going on the SY-3 crew manages to capture one of the leading scientist ,and bring her back to the UNSC. Back at the UNSC they are trying to question the scientist but she just gives them negative responses saying that the Kilaaks will win ,and that there is nothing earth can do. One of the SY-3 sees that the scientist is wearing strange earring, so he grabs her and rips the earring off. As soon as the earring are ripped out of the scientist ear she is back to normal and no longer under the control of the Kilaaks. The scientist at the UNSC inspect the earrings ,and discover that they are some sort of transmitter. The scientist figure out that the same signal that the transmitter is using must also be the same signal that is being used to control the monsters. The SY-3 crew sets out ,and begin tracing signals that match the transmitters signal. The SY-3 crew tracks a signal down in the mountains of Japan, where a villager had discovered a strange rock in the river. 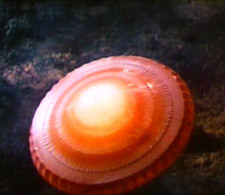 The SY-3 crew cracks the rock open and finds a larger version of the transmitter inside it. Soon all the countries around the world are tracking the same signal discovering transmitters hidden everywhere, in things such as coconuts, trees, and rocks. After the hunt the transmitters on earth are all destroyed but the monsters still seem to be under control of the Kilaaks. The UNSC discovers another signal this one though is coming from an underground Kilaak base on the moon. The SY-3 takes off for the moon to destroy the final transmitter while earth prepares to attack the Kilaak base hidden somewhere near MT. Fuji. The SY-3 crew arrives on the moon but is not welcomed as they are landing the Kilaaks unleash giant flame throwers on the SY-3. The crew uses a moon rover car, and drives out of the ship. The SY-3 crew finds the underground base and blows it up with the lasers on the car. All the Kilaaks in the base die when exposed to the cool moon air. It is then discovered that the Kilaaks are actually a species that reverts to rock when exposed to cool temperatures and that they can only survive in extremely hot conditions. The SY-3 crew destroys the transmitter ,and the monsters are now under control by the UNSC. The UNSC directs all the monsters to MT. Fuji for the final battle against the Kilaaks. The monsters arrive ,and the Kilaaks unleash their secret weapon Ghidorah. A massive battle of Mothra, Godzilla, Minilla, Manda, Rodan, Anguirus, Gorosaurus, Kumonga, Baragon, and Varan vs Ghidorah begins. The battle is pretty much one sided Ghidorah shows up shooting his beams at Godzilla ,and all the monsters but when he lands the battle is pretty much over for Ghidorah. Anguirus latches onto one of Ghidorah's necks ,and Ghidorah takes flight. Anguirus loses his grip ,and falls from the sky. The impact of Anguirus's fall reveals the Kilaak base. Ghidorah lands ,and has to face Godzilla along with Gorosaurus. The Godzilla and Gorosaurus knock Ghidorah down to the ground and Mothra and Kumonga begin spraying Ghidorah with web. Ghidorah becomes immobile ,and the monsters begin stomping on Ghidorah. Ghidorah screams has his necks are crushed and Minilla actually delivers the finishing blow shooting one of his radioactive rings around the last moving heads neck. Godzilla then proceeds to crush the Kilaak base. The Kilaaks then reveal one more secret a Monster they call the Fire Dragon. This so called monster is a flaming fire ball that is flying around earth crashing through everything and burning everything. 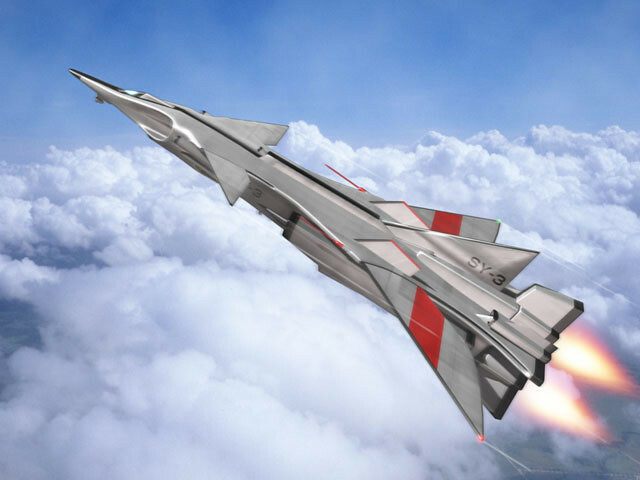 The SY-3 crew takes of after it ,and shoots it down. It turns out that the Fire Dragon was just the Kilaaks last remaining space ship. The ship crashes ,and explodes. Earth has won the battle against the Kilaaks ,and the monsters are returned to Monsterland to live their natural lives. This has always been my favorite of all Kaiju movies I just love to see all these monsters at once! I mean look at it we had Mothra, Godzilla, Minilla, Manda, Rodan, Anguirus, Gorosaurus, Kumonga, Baragon, Varan, and Ghidorah. There is no other movie with this many Kaiju. The final battle could have been a little more epic, there could of been more than just Ghidorah as an enemy monster. They should of brought in another monster to even out the fight a little although at the time of this movies release Ghidorah was the only evil monster from space known at the time. I would have recommended maybe having Gigan at Ghidorah's side, maybe even Megalon. But Gigan did not yet exist in the Godzilla universe he was introduced 3 years later in "Godzilla vs Gigan", and Megalon was introduced 4 years later in "Godzilla vs Megalon". One thing I liked about this movie was that Manda actually got some good camera time. Manda was seen attacking London briefly ,but also was heavily involved in the initial attack on Japan with Godzilla , Mothra and Rodan. Manda is a monster that I wish we got to see more of , I don't know what it is but I always had such a big fascination with all the monsters that inhabit Monster Island. Gorosaurus took a massive role in the final battle which made me extremely happy because he is another monster that never really got any attention. What was annoyed me was the lack of Baragon, and Varan action, I found it almost pointless to have them in the movie. I think Varan's screen if you add it up doesn't even make up 5 seconds, you just saw him in extremely brief flashes maybe three times. Baragon also had maybe about 10 seconds of screen time. Baragon ,and Varan both had their own movies but were never really heard from again after those movies especially Varan. Baragon at least managed to reappear later on in "Godzilla, Mothra & King Ghidorah: Giant Monsters All-Out Attack" ,but Varan was never seen again after Destroy All Monsters. I have never seen the Varan movie but I have recently bought on DVD so I will be watching ,and reviewing that at some point. I really look forward to learning more about Varan when I watch his movie. Something I found interesting is that the original draft of the script also included Ebirah, and Maguma but they were replaced by Anguirus , Gorosaurus, and Minilla. I am extremely happy that they decided to place Anguirus, and Gorosaurus in the movie, Minilla I can take or leave. I think it would have been interesting to see Maguma interacting with all of Monster Island's Kaiju. I do not know much about Maguma since I have never seen Gorath, all I know about Maguma is that he is a giant walrus Kaiju. I do plan on watching Gorath eventually, although I do not believe there is an official U.S. release, there is a seller on ioffer.com that sells a DVD-R copy of it with both English ,and Japanese versions. I do not know what Ebirah's role would've been in this movie as all the scene either took place on land or in space. I assume that they might have originally planed for some sort of underwater attack with Ebirah possibly fighting the SY-3 (if the SY-3 can even go under water) or maybe something with a submarine. Whatever Ebirah's role was suppose to be it never made it into the final cut of the script. What I am excited for after watching this movie is the possibility of a remake. Gareth Edwards spoke in an interview ,and said that if next years Godzilla movie was a success that he would like to do a Destroy All Monsters type movie. Gareth Edwards also said that he enjoyed seeing more monsters in Godzilla movies ,and that he found more monsters to be "fun". That is why I love Destroy All Monsters, I think more monsters equals more fun, as the little girl from the AT&T commercial says "We want more, because more is better". I have a lot of faith in Gareth Edwards work on the Godzilla 2014 movie ,and I can not wait to see it. 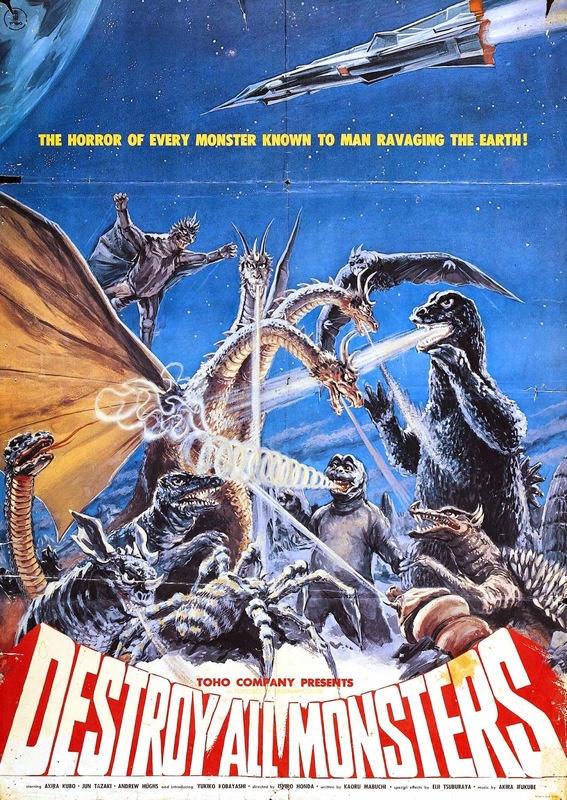 I think Destroy All Monsters is one of the greatest Godzilla movies ever made ,and if you haven't seen this movie, you must find away to see this movie. Get this movie ,it is a must have for any Kaiju movie collection. Finally, I apologize for the delay on this article, I had originally posted that I would have this article posted Tuesday, but I ended up getting caught up with other things. Look out for more articles coming Friday ,and thanks for reading.